Amy Einhorn Books, 9780399160585, 385pp. In 1924 George Mallory departs on his third expedition to reach the summit of Mount Everest. Left behind in Cambridge, George’s young wife, Ruth, along with the rest of a war-ravaged England, anticipates news they hope will reclaim some of the empire’s faded glory. Through alternating narratives, what emerges is a beautifully rendered story of love torn apart by obsession and the need for redemption. Tanis Rideout's work has appeared in numerous publications and has been shortlisted for several prizes, including the Bronwen Wallace Memorial Award and the CBC Literary Awards. Born in Belgium, she grew up in Bermuda and in Kingston, Ontario, and now lives in Toronto. 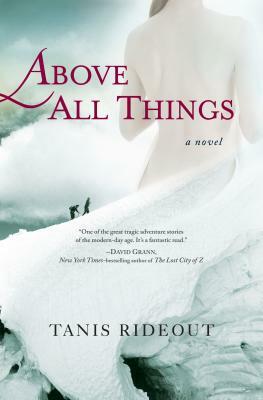 "Above All Things" is her first novel.